Truth in Fiction, Part 2: A short while back, Google celebrated the major media event of the alleged Roswell UFO sightings with one of their undoubtedly best Doodles: here it is. It’s a movie, it’s a game, it’s also quite subtly mesmerizing. Contemplating the beyond, whether through sci-fi or speculative fiction or fantastical worlds, remains one of the most widespread areas of mainstream storytelling, but it continues to be one of the sparsest domains of exploration for reading in schools. Or media literacy. A few years ago, a superb series of media literacy materials for middle schools called The Story of Movies was created through a partnership between the Film Foundation, TCM, and IBM. Of the three films for which they created useful study guides, one was for the science fiction classic The Day the Earth Stood Still. 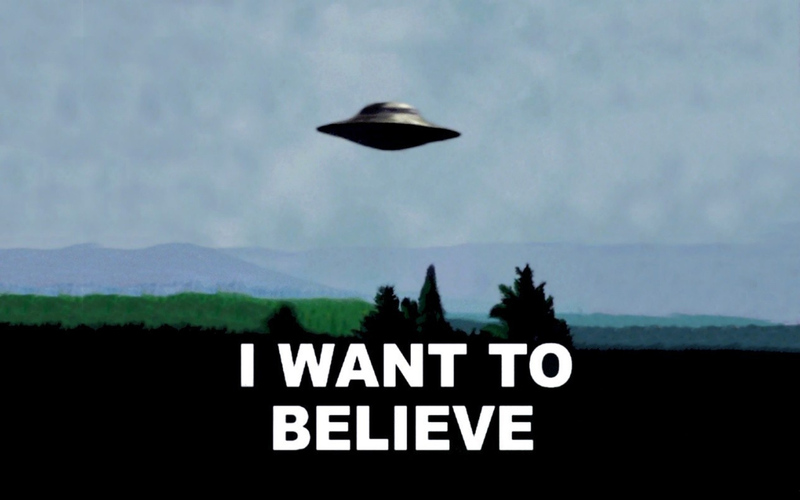 Meanwhile, one of the great Roswell-related events in American popular culture is presently celebrating a twenty-year anniversary: The X-Files. The appearance at this year’s San Diego Comic Con of some of its principal figures, including creator Chris Carter, writer Vince Gilligan (of Breaking Bad), and actors David Duchovny and Gillian Anderson, provided an interesting forum for discussion of how a groundbreaking program can lead to new avenues of storytelling and media creation, and how shifts in cultural viewpoints can reflect the historical view of a movie or show. Of particular note are the degree to which the alchemy of a leading duo was invigorated through The X-Files (in the tradition of the John Steed – Emma Peel Avengers, or Tara King too! ), the questioning of authority embedded in the series evaporated within the following decade (particularly in the wake of 9/11; and which now returns with a vengeance), and, perhaps most importantly, the development of an intricately woven backstory and arcing universe of mythology now commonly feeds narratives of episodic series. For use with Chapter 7 of Moving Images, a superb piece for screenwriting study is the award-winning episode Clyde Bruckman’s Final Repose, written by Chris Carter and Darin Morgan.